Kayla Ewell Photos, News, and Videos | Just Jared Jr.
Candice King and Kayla Ewell are all smiles while stepping out for lululemon’s RCVR Fitness and Wellness Event at Platform LA on Monday (March 25) in Culver City, Calif. 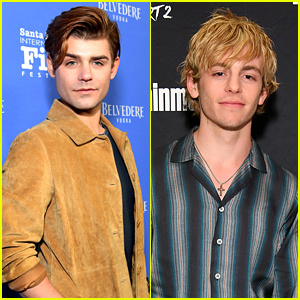 The former Vampire Diaries stars and BFFs were joined by Light as a Feather‘s Ajiona Alexus for the installation in celebration of the LA Marathon. The three actresses were seen enjoying Cryo Cafe facials, Dosist consults, Hot Box Sauna Sessions, and also stopped by the lululemon pop up shop, and hydrated with CORE Water, munched on snacks by Harmless Harvest, and Brew Dr. Kombucha. Later on that night, Ajiona, Candice and Kayla all enjoyed an afternoon rooftop meal at Margot. Check out all the pics from the event inside! 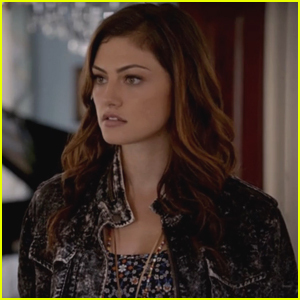 Phoebe Tonkin might be on The Originals now, but she first brought Hayley Marshall to life on The Vampire Diaries. The actress is paying tribute to the series, which concludes with an epic finale tonight, on social media. “I cannot believe tonight is the last episode of #thevampirediares ever,” Phoebe wrote. Kayla Ewell Joins Kat Graham & Paul Wesley on Set of 'The Vampire Diaries'! It looks like Kayla Ewell is returning for the final season of The Vampire Diaries! The 31-year-old actress was spotted on set in between scenes on Thursday (January 26) in Atlanta, Georgia. 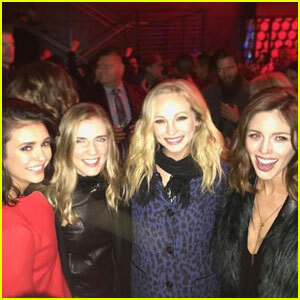 CHECK OUT: Nina Dobrev Announces Return to ‘Vampire Diaries’ For Series Finale! Kayla was joined on set by Kat Graham and Paul Wesley as they were spotted filming in a park. If you remember, Kayla‘s character Vicki Donovan hasn’t appeared on the show since season five. No word yet what Kayla‘s story line in the final season is yet. 'The Vampire Diaries' Alum Kayla Ewell Marries Tanner Novlan! Kayla Ewell is a married woman! The 30-year-old Vampire Diaries actress wed actor/model Tanner Novlan on Saturday (September 12) at the Jonathan Club in Los Angeles. 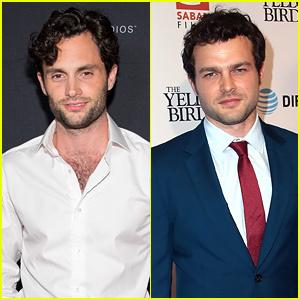 According to People, the couple was joined by 200 guests, including Kayla‘s former co-stars Michael Trevino, Zach Roerig, Sara Canning, and Nina Dobrev, who brought along boyfriend Austin Stowell. Candice Accola was also in attendance and served as one of six bridesmaids. Kayla wore a Monique Lhuillhier gown and the bridesmaids wore Jenny Yoo dresses. Congrats to Kayla and Tanner on the exciting news!